Seek Meerkat is the brother of Hide, and they were both inspired by William and Charlie’s visit to Adelaide zoo. 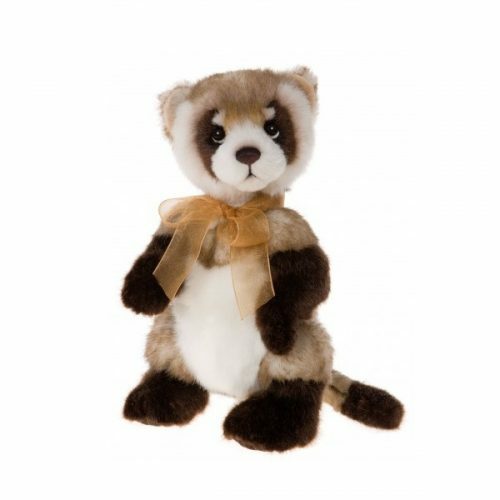 He is made of soft plush fur in dark brown, cream and mink and has expressive black eyes with white discs behind. He has dark brown ultrasuede sitched foot paws and is part pellet filled. PLEASE NOTE THAT SEEK CANNOT STAND FREELY.